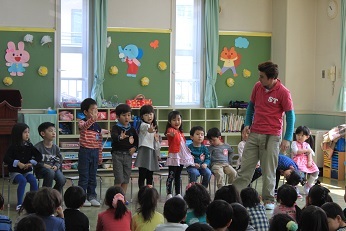 Today was the birthday party for all the children born in April. There were 11 birthday kids this month, and everyone did a great job telling us their name and how old they are. 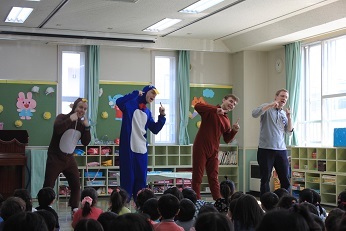 Then the English teachers put on a fun play about a bear who is scared to try new things. It was a real treat! 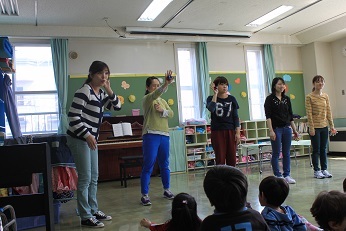 Then some of the Japanese teachers showed everybody some really cool musical instruments. It was lots of fun. Can’t wait to see what will happen at the next birthday party!